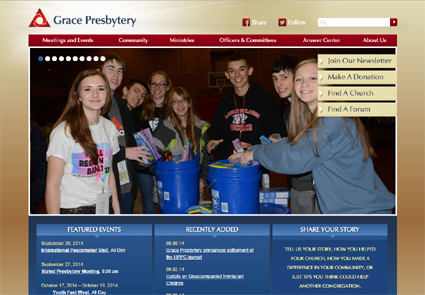 CWS works with Grace Presbytery to deliver custom-fit functionality for their WordPress driven front-end website. By identifying primary goals, establishing efficient processes, and customizing back-end functionality, CWS enables Grace to most efficiently focus on communication and publishing, freeing them of technical worries and hurdles. CWS will also be developing people management and web-based database software for Grace to meet their custom need.